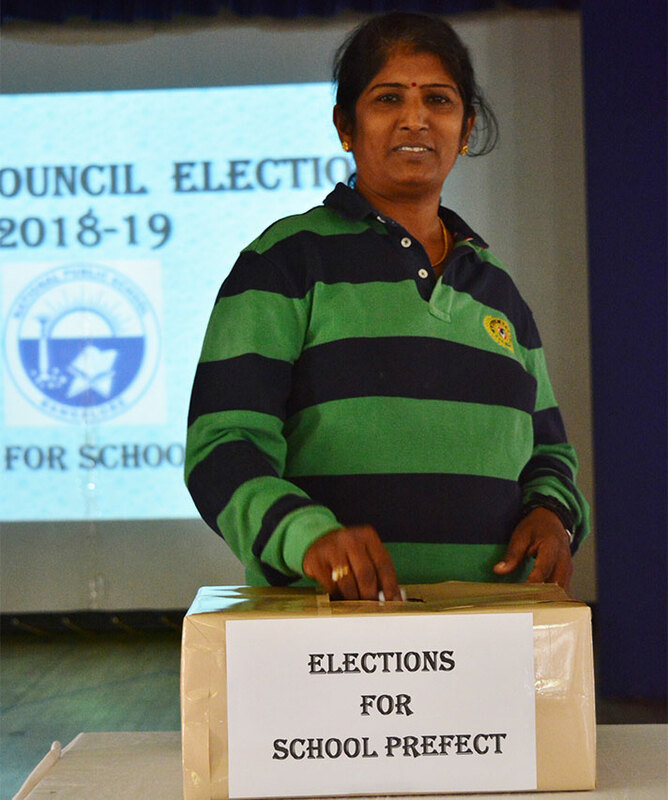 Elections for the office bearers – School Prefect and House Captains- were held at National Public School, Koramangala on 6th April 2018. The elections provided an opportunity to the students of Grade 12 to experience firsthand, the exercising of their most important fundamental right: the Right to Vote. 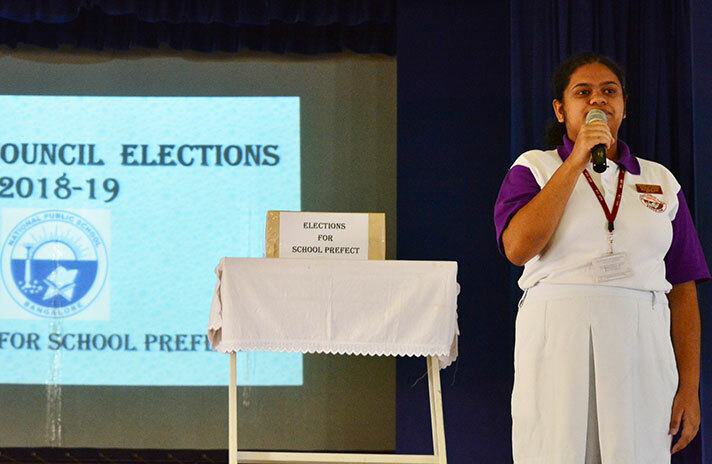 On 6th April, the nominees for School Prefect – Neha Sharon Jacob and Rajdeep Nag of Grade 12 read out their manifestos trying to convince their classmate and teachers of their utmost suitability for the elite position. 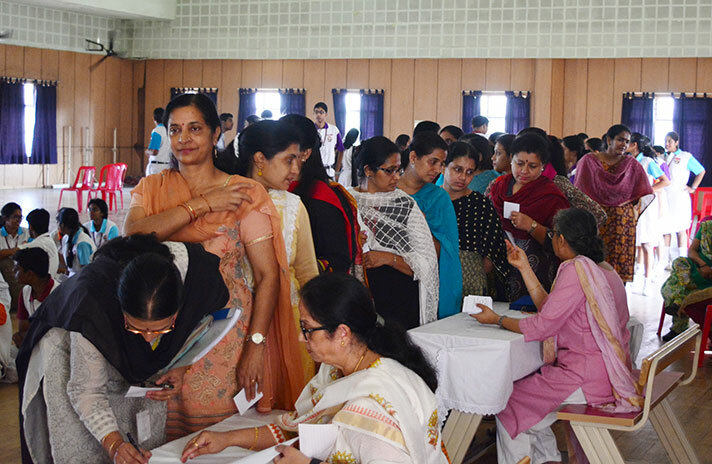 Post speeches, the entire polling process was conducted in the most democratic manner with the signing against names, inking of the fingers, collecting ballot papers, ticking the chosen candidate and finally casting the ballot in the assigned boxes. 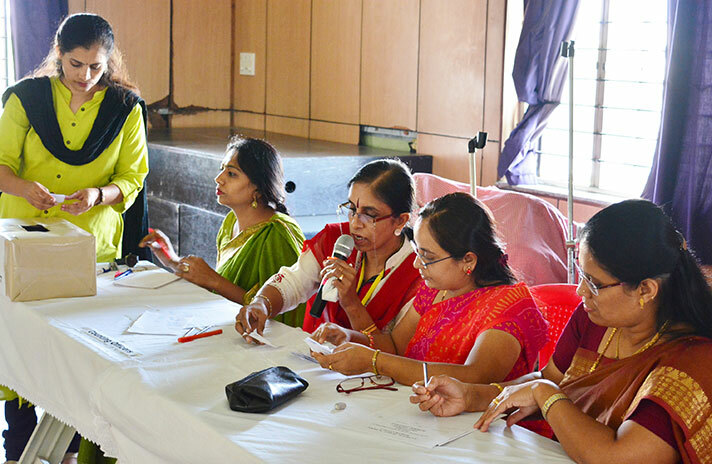 Then came the most awaited moment- the counting of the votes. 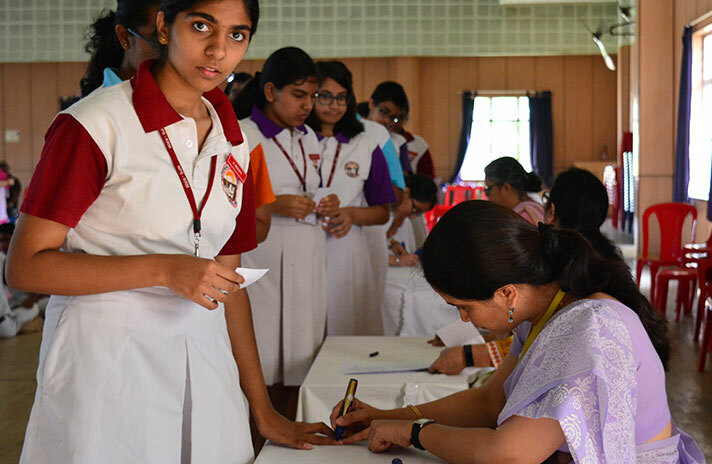 Students frenzied in eager anticipation as the tallying began. 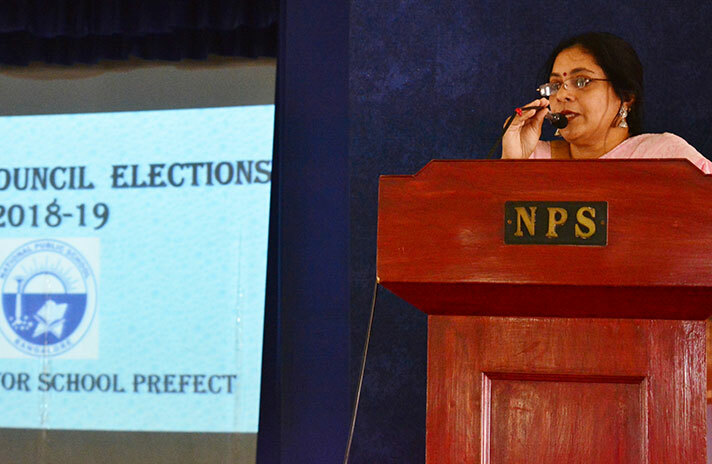 At last, the wait was over and the results were announced by the Principal Ms. Jyotsna Nair. 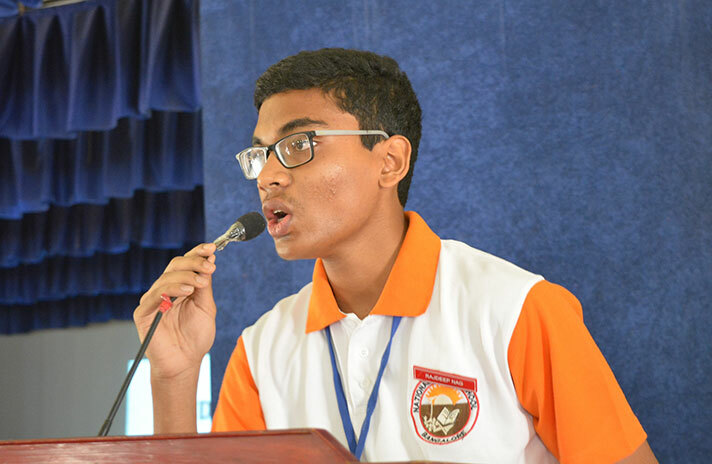 After a week the four student leaders House Captains were selected unanimously by their batch-mates. 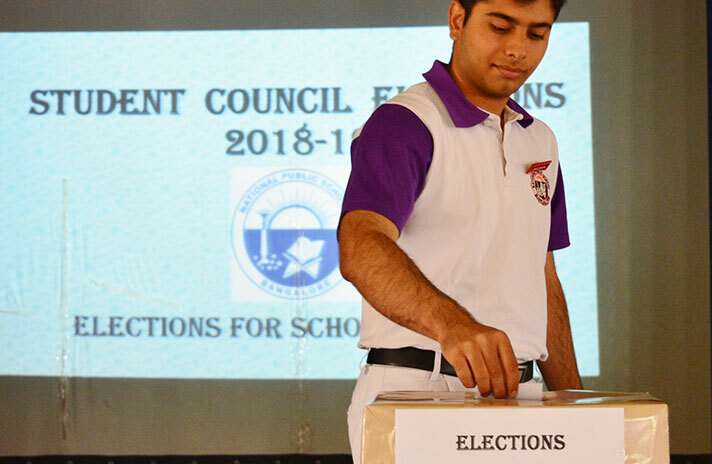 While Neha Sharon Jacob was elected the School Prefect for 2018-19, Pooja Rajesh was elected the House Captain of Challenger House; Mukund Balaji, the House Captain of Explorer House; Rajdeep Nag, the House Captain of Pioneer House and Aniket Sanghi, the House Captain of Voyager House. 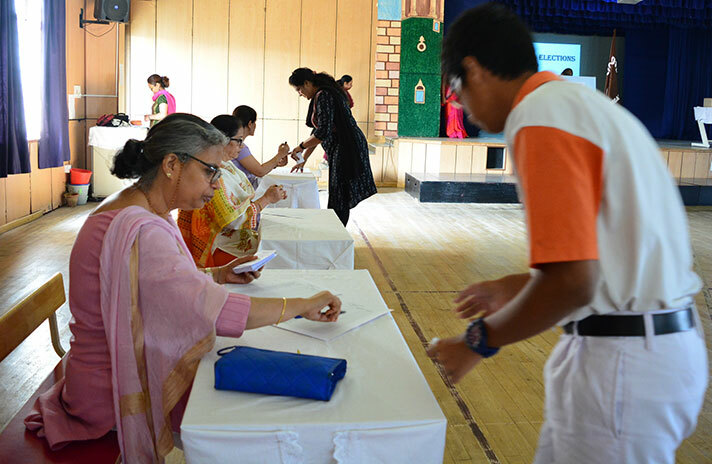 A round of congratulations and best wishes to the elected representatives marked the end of Elections for the academic year 2018-19.